We work with people and business to embed wellbeing into the culture of a company through education and experience. We motivate, educate and energise people about the importance and benefits of a holistic approach to health and wellbeing. Knowing that poor mental health is costing the economy up to £99 billion per year with 300,000 workers leaving their jobs every year on account of a mental health related issue (Thriving at Work report, Gov.UK, Oct 2017), we have created a range of products that help people gain awareness, balance and control in order to help them be their most productive, fulfilled and happiest selves. We support those interested in the wellbeing of their employees – through talks and workshops, workouts and bespoke services. Our sessions are interactive and immersive, and will help people to re-evaluate their approach to total wellbeing. For every $1.00 spent on creating a mentally and emotionally healthy workplace, companies can recoup $2.30 in benefits gained by the organisation – PWC Report. Our approach is to provide ideas and insight to help people move more and be more mindful, ensuring that the practice becomes a new way of life, rather than a new fad for the week or month. 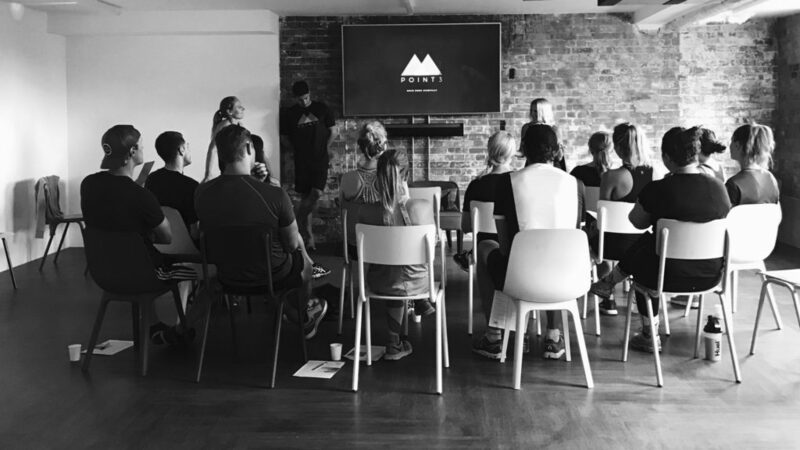 If you’re a company that’s looking to review your corporate wellbeing programme, and/or would like to host some interactive sessions and immersive classes for your employees, we’d love to hear from you. If you’re an agency that’s working on a conference or brief with a wellbeing theme, we’d love to support you with ideas and delivery. Find out more about how we can support you here. © 2019 POINT3. All Rights Reserved.